Datsun has updated its twins, the Go hatchback and the Go Plus MPV in the Indian market. The changes that have been brought in both these offerings aim at making them more versatile than before. 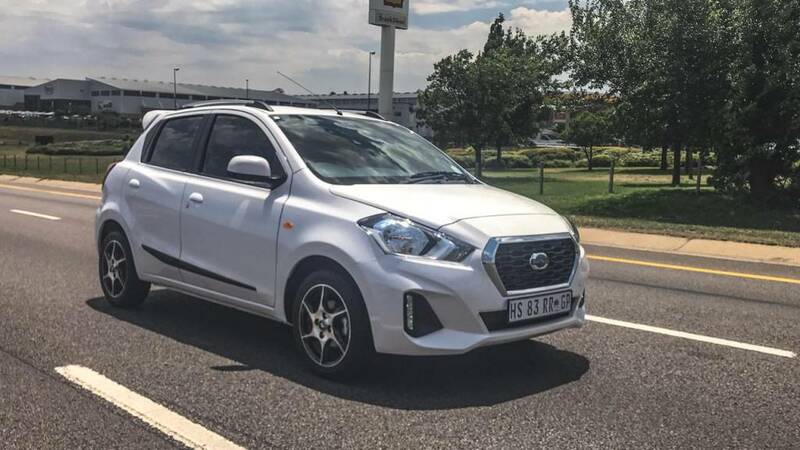 While the previous form was more functional in approach, the new design and additional features have made the 2018 Datsun Go and Go Plus more appealing. The bumpers have been tweaked with more contouring along with an addition of DRLs. Even the front grille has gone through a subtle revision. Additionally, the exterior design comes with new outside mirrors with turn indicators, larger, 14-inch wheels and a rear wash/wiper. And not just that, Datsun engineers have also worked on the cabin with an updated trim design and addition of a seven-inch touchscreen for the infotainment system which offers Android Auto and Apple CarPlay connectivity now. The cars have been improved on the safety front as well, as both now come equipped with two standard airbags and ABS, as also reverse parking sensors and a seatbelt reminder. Importantly, Datsun has also launched the updated Go and Go Plus in the Indonesian and South African markets. Both these areas are catered by Datsun India, as both the Go and the Go Plus are manufactured at the company's plant in Chennai. As seen with some automobile brands, the export-spec models are generally of superior quality compared to the ones sold in the domestic market. However, that is not the case with the Datsun twins. 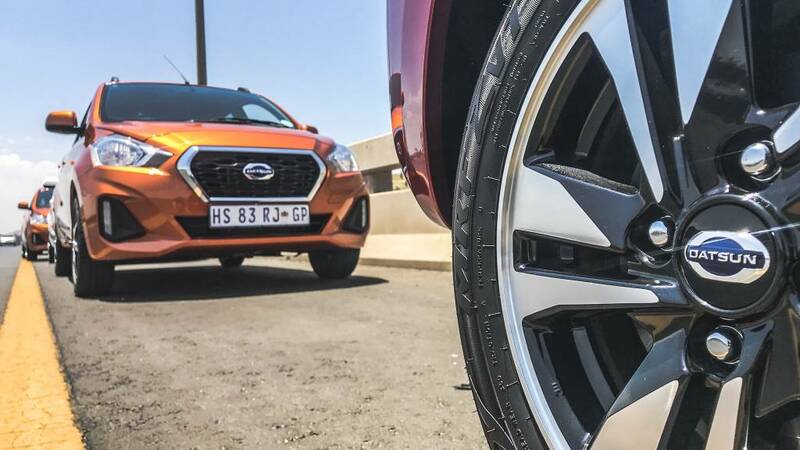 Here's our feature on what makes the SA-spec Datsun Go and Go Plus different from the India-spec offerings. While on paper, the numbers and details are identical, how does it feel to drive these made in India cars outside India? To answer this question, we travelled all the way to Johannesberg in South Africa. 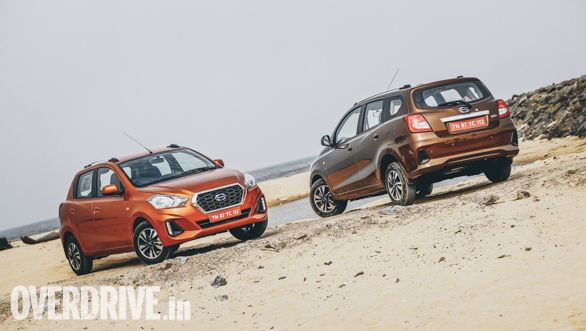 Since a detailed review of the 2018 Datsun Go had been covered already, this feature was more about experiencing the change while exploring the city and also learning more about the legacy of Datsun. 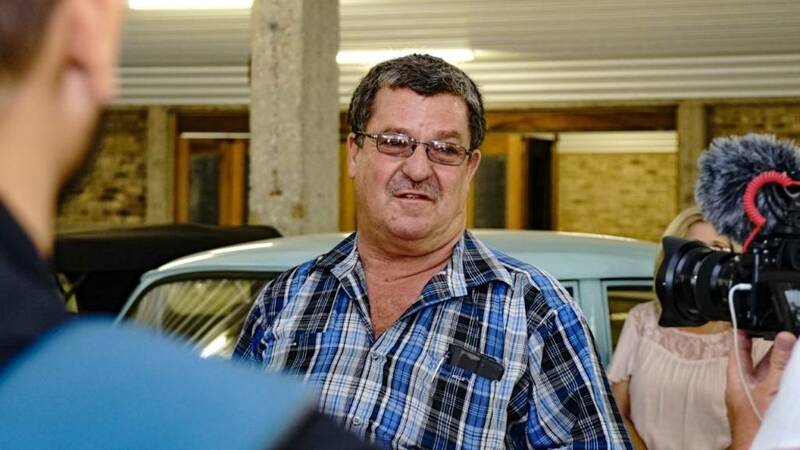 While Datsun started its fresh innings in South Africa in 2014 along with Indonesia, Russia and India, the Japanese car manufacturer's history in SA dates back to 1958 when the Datsun 1000 sedan was first showcased at the Pretoria Show. 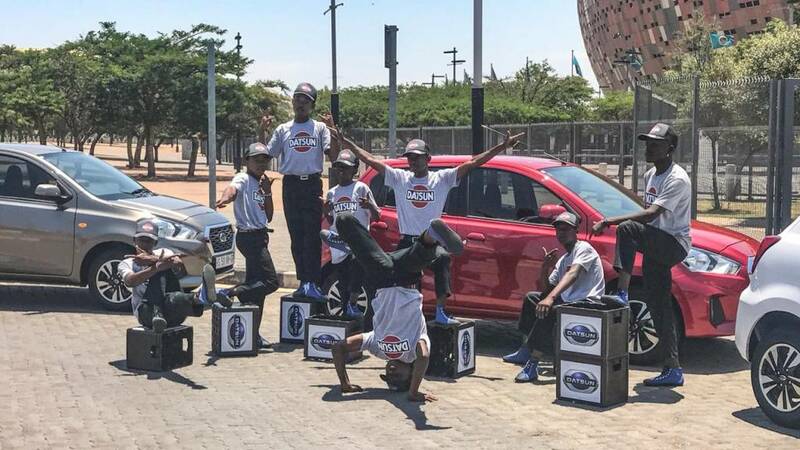 This was followed by the establishment of the Datsun Motor Vehicles Distributors (DMVD) in 1959 with the first shipment of 1-ton pick-up trucks sent to SA in 1960 wherein the company was renamed into Rosslyn Motor Assemblers. Between 1976 and 1978, Datsun was considered as the highest selling automobile brand in SA. In 1992, the company achieved a milestone of assembling the 10 lakh car. The new-age Datsun that was launched in 2014 has been clocking sales of 600 units per month as the company has registered a cumulative sales of 25,000 units till date. 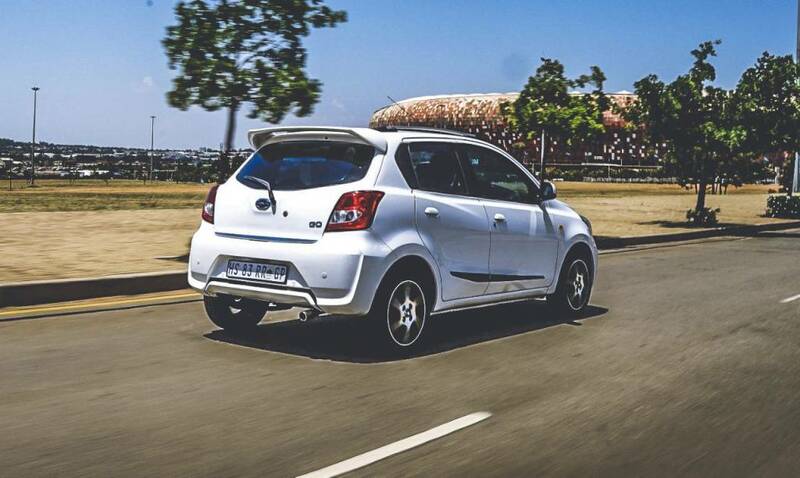 Interestingly, Datsun amounts to 34 per cent of the total sales of Nissan's passenger vehicles in South Africa. The company has addressed the safety concerns regarding the Go and the Go Plus by offering dual-airbags and ABS as standard. The brand is also positive that the A-segment is expected to grow with the many first time buyers looking for a more efficient and cost-effective mode of transportation. 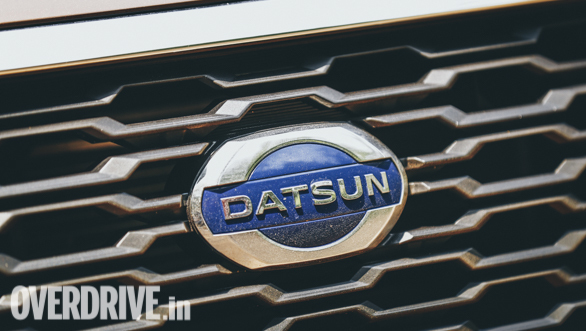 Further, Datsun might be looking at transforming its image from a low-cost car manufacturer to an aspirational one with its next, an SUV, as that is a globally growing segment. 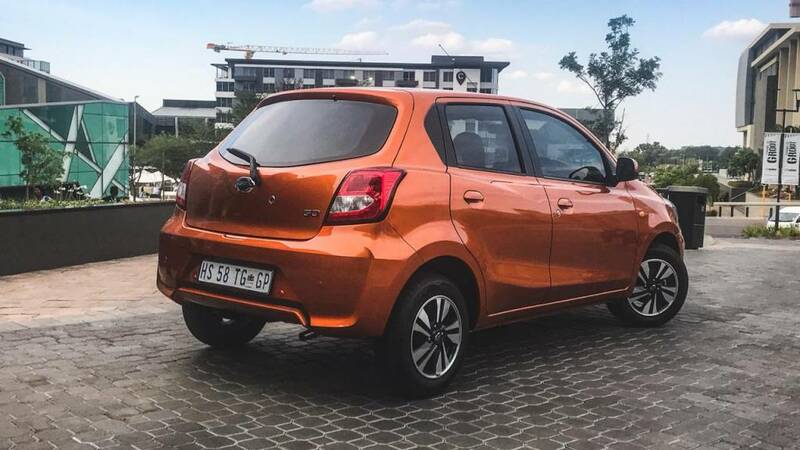 Now that we have covered all the facts and figures about Datsun in SA, it's time to head to the road with the 2018 Datsun Go and explore the sunny South Africa. 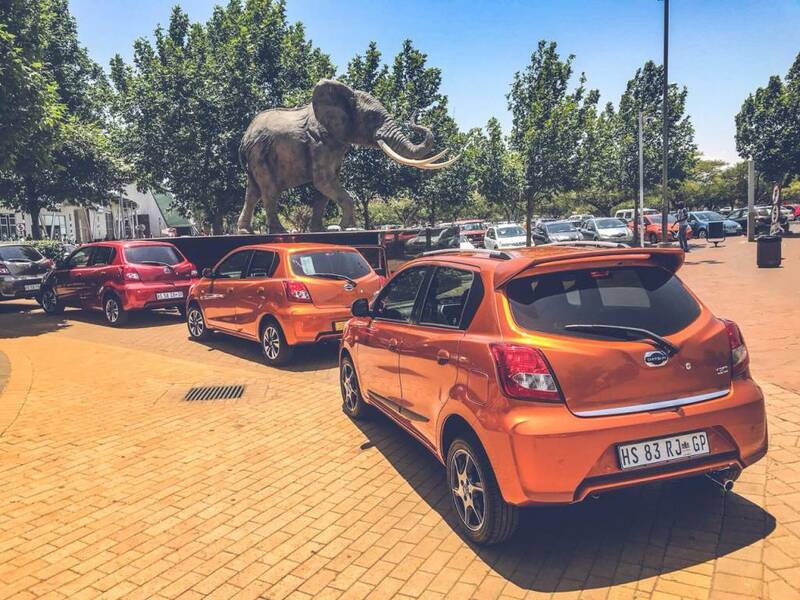 After a quick morning breakfast, we chose our Datsun Go from the fleet and it had to be in Orange. Because, that is the best shade that one can opt for on the new Datsun Go. The contrasting colour treatment on the grille, inserts and the wheels look interesting. Also, it makes for amazing pictures on social media. Since we started early, there was no dense traffic to deal with. 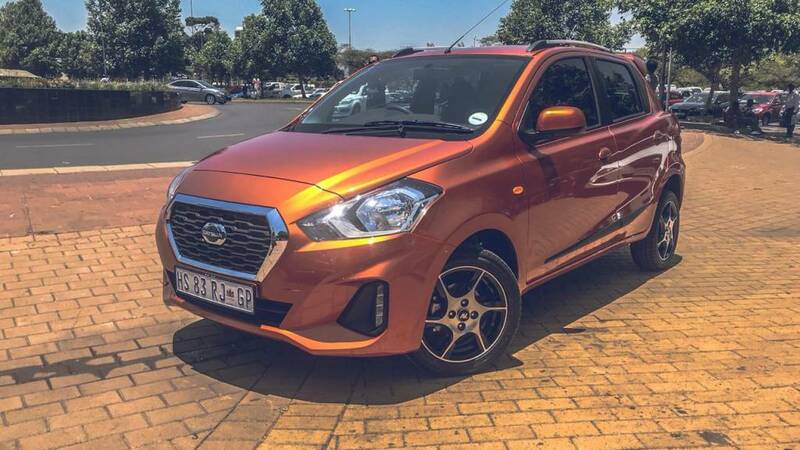 The smooth petrol engine of the 2018 Datsun Go did its job of hauling us with great ease and comfort. After crossing the city and some bit of highway driving. We reached the famous Maponya mall, one of the largest malls in SA. What makes Maponya famous is its location in Soweto (South West Township), one of the oldest and largest townships in South Africa. This R650-million Soweto shopping centre was inaugurated by Nelson Mandela, the former president of South Africa. One of the first shopping centres in SA, Maponya Mall boasts of more than 200 stores. We then set off to our next in the Go. While the petrol engine takes on the city traffic with ease, it is on the highways that you experience the lack of power, especially when you are trying to hold on higher speeds. 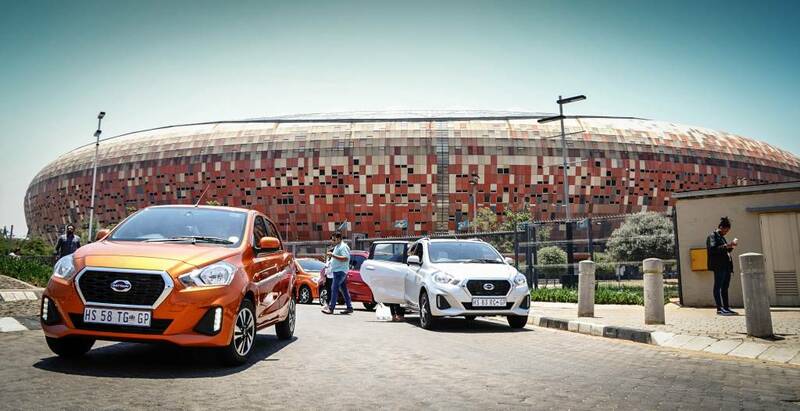 Continuing our journey in the 2018 Datsun Go to explore more about South Africa brought us to the First National Bank Stadium or the FNB Stadium. Constructed at approximately USD 440 million, FNB football stadium is the largest ever stadium in South Africa with a seating capacity of 94,736. The home ground of Kaizer Chiefs F.C. in the SA Premier Soccer League, the FNB stadium also has historical importance for SA. It is here that Nelson Mandela gave his first speech in Johannesberg in 1990 after he was released from prison post the lifting of ban on the African National Congress (ANC) by the then South African president, De Klerk. The FNB football stadium was also the venue for the finals of the 2010 World Cup that was played between Spain and Netherlands, also witnessing Nelson Mandela's public appearance on that day. In the past, I have visited the Nissan Heritage Collection at the Zama Operation Centre in Japan. The number of cars on display at this museum would easily take more than a day to be seen properly. 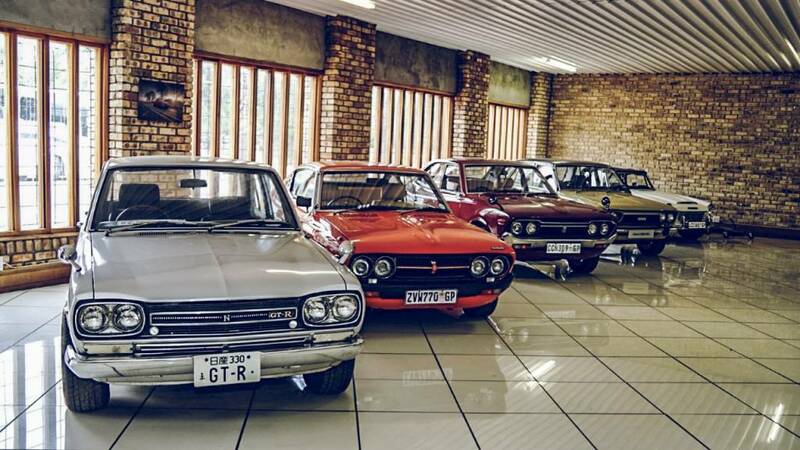 When Datsun shared the itinerary for the day in South Africa, it mentioned of a visit to a personal car collection. Among the people I know or have read of, a personal car collection normally consists of 10 to 15 cars or say 25 maximum. But here, the number that we are talking of is more than 200. Yes! That's right. A good four hour drive from our stay was this laid-back town called Bothaville. many 240Zs that he has in his collection. 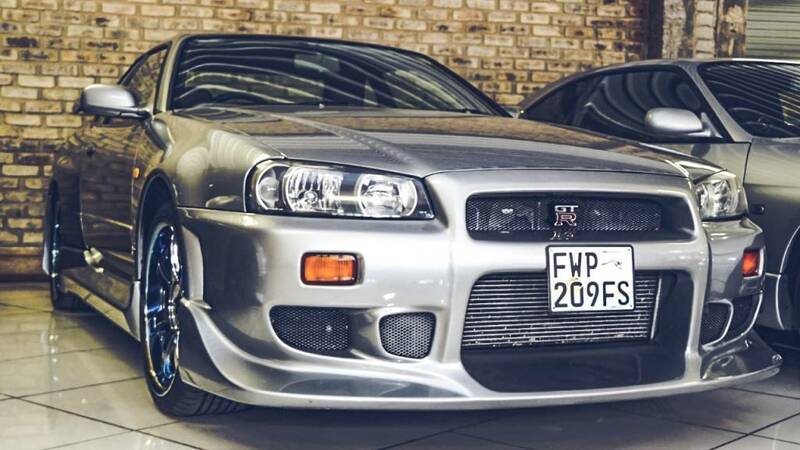 The Nissan Skyline GT-R R34. Are you feeling the Need for Speed? 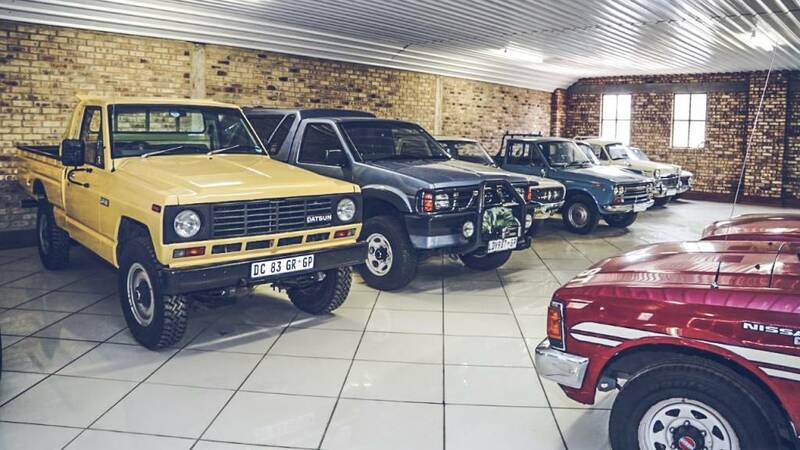 Freek's collection of Nissan Datsun cars include 1600SSS, GT-Rs of multiple generations, a 1970 Nissan President V8 of the late Mozambican president Samora Machel, 1200GX, Pulsar, Ninja, Sylvia, Fairlady and many more. Freek started his collection 11 years ago and enjoys his time restoring the classics at his own workshop. To have a collection like this, you don't just need money but also a mad passion and a strong dedication for the brand. After serving Johannesberg for over 50 years, the Orlando power station was decommissioned in 1998. The Orlando Power Station was a coal-fired power station that is located in Soweto, South Africa. Post the decomissioning, the cooling towers of this power station were retained. 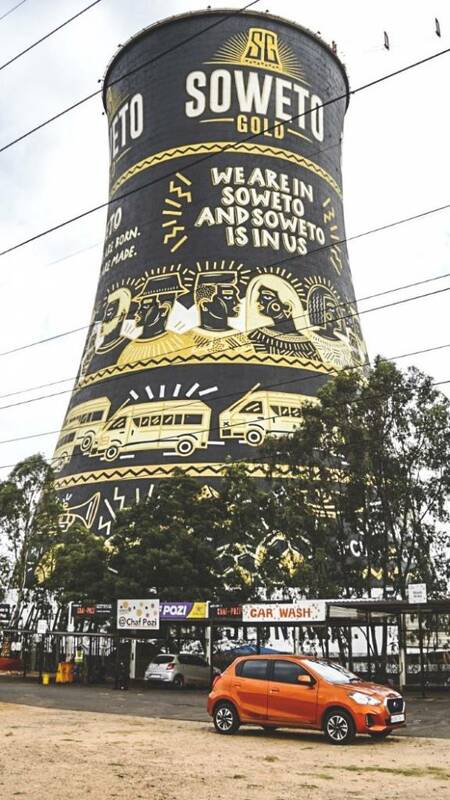 Popular brands in South Africa use these towers to paint their own advertisements or murals. Since it is one of the most iconic locations in SA, the Orlando towers attracts a lot of tourist attraction. In addition to a cafe that's run underneath the cooling towers, it is also used for bungee and base jumping. The last and the most important of all the places that we visited during this trip has to be the Mandela House, also known as the Nelson Mandela National Museum. It was this very place that Mandela returned to after his release from prison in 1990. Even though he was told to reside in a safer house, Nelson chose to stay here as this location confirmed to his heart that he has left prison and returned to his original home. After a short span of 11 days, he was moved to a more secure location in the suburb of Houghton. A national heritage site, Mandela had donated this place to the Soweto heritage trust in 1997.